If you have been following BlimBlim since his debut on Xboxyde and now Gamersyde, you know that Bayonetta is a big part of the site. Why? Simply because the game was the first review ever written by our tyrant in 2010, which clearly dates us! 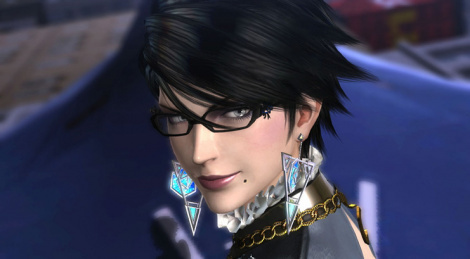 A few years later, Bayonetta 2 on Wii U arrived thanks to Nintendo, and we can now play both games on Switch. You can discover them in these 4 videos, captured on Nintendo Switch obviously. Bit off-topic, but perhaps that Bayonetta review was made when Blim still loved games. The fact that he plays so little as Drift has mentioned in the past and that last Gamersyde livestream of 2017 gave me the impression Blim resents Gaming so much that I honestly kept wondering why he still cares about the site. Anyway, just the impression I got from that livestream. I know many people are cynic about Gaming in general, specially AAA games, but like any art medium, if you only look at the mainstream stuff, you're missing a whole lot of great and excepetional works of art. Same for movies, music, etc. Very offtopic, but I'd like to comment with my own situation, I'm moving towards AAA games again because I actually enjoy production values like 3D art (characters, environments, animation), coding (optimized graphics/physics/effects), audio, and good writing, which especially becomes more important to me. Indie games can be all over the place with these things, mixing good writing with bad graphics is a common example, but AAA games have a base level of quality that I am truly enjoying. Looking down on mainstream stuff is something I wouldn't do too quickly. Even the fact that some game was produced by a huge team and there is something coming out of it that is enjoyable is a valuable feat in itself, if you understand the difficulty behind these projects. Indie games can be great nevertheless. There are different kinds of beauty in gaming and it's nice to be able to enjoy a wide range of stuff. Enjoyment is something you can bring, not something you can demand. Those old times, I couldn't find many 60fps videos. And I think GSy is the first game site I found to provide 60fps videos. Actually, if I play a game in 60fps, I can't feel much improvement after a while. But if I watch a video in 60fps, man that's just insane whenever I watch it.